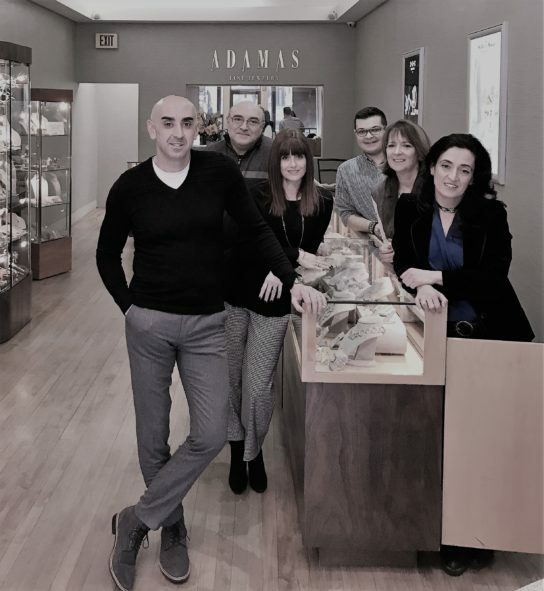 Adamas Fine Jewelry | Here’s to 20 Amazing Years! Here’s to 20 Amazing Years! Time flies when you’re having so much fun! Thanks to you, our most loyal clients, it’s been an amazing 20 years. From all of us at Adamas Fine Jewelry we thank you so much for all of your support. We truly could not have done it without you. *Excludes engagement rings, wedding bands, loose diamonds and diamond stud earring. ©2019 Adamas Fine Jewelry. All Rights Reserved.